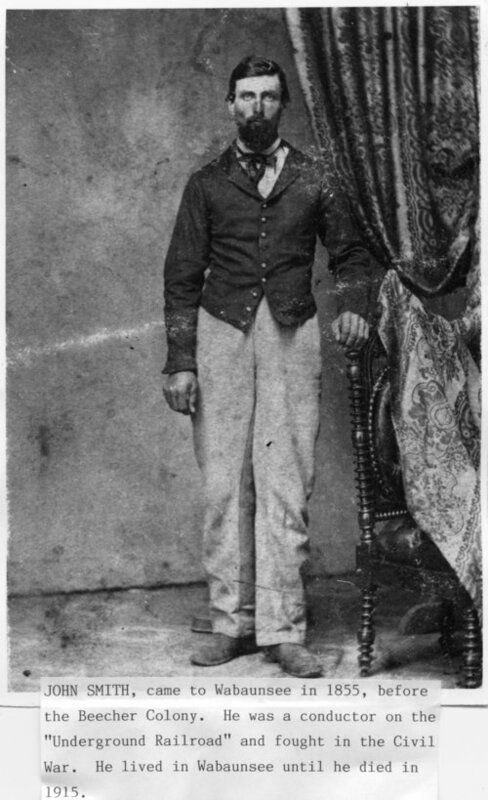 This is a studio portrait of John Smith who came to Wabaunsee, Kansas in 1855, before the Beecher Colony. He was a conductor on the Underground Railroad and fought in the Civil War. He lived in Wabaunsee until his death in 1915.